The quick rise of mobile technology and console gaming in the last few years drove fear into the hearts of many enthusiasts that were worried about the future of desktop of computing. Once the data came in however, it is clear that the PC is here to stay and the sales are only projected to grow stronger with Valve’s big move with Steam OS and Steam box releases. The scene has merely shifted slightly and has not morphed completely into something unrecognizable as some have feared. However, mobile technology and console gaming have undoubtedly affected current builds and upcoming system designs. In fact, the number of small pre-made systems announced at CES 2014 have more than doubled compared to CES 2013. More and more gamers want to play in their living rooms and manufacturers are answering that call with smaller, more efficient products that will fit into compact cases. Case, video card, cooler, power supply and motherboard manufacturers have also been offering more micro-ATX and mini-ITX oriented products to meet the demand of compact DIY builds. ASUS has even introduced the new Maximus VI Impact, a compact mainboard that fits RoG-worthy features in a mini-ITX form factor. Before the Impact’s announcement, it was however the Gene which found its way into many compact builds with its micro-ATX form factor. 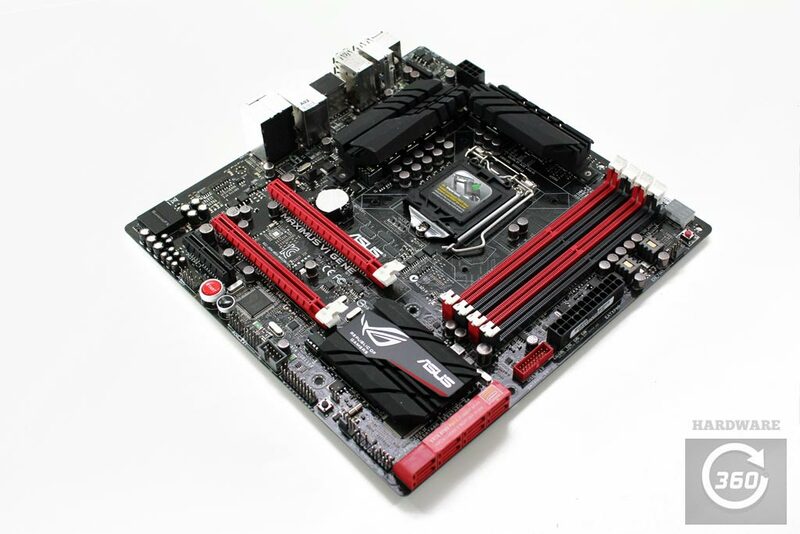 For many years, the Republic of Gamers Gene board has introduced advanced ASUS technologies to a compact platform and remains unparalleled in its influence and legacy. For Intel’s latest Z87 platform, the Maximus VI Gene continues the tradition of providing a balanced high-end feature set for gaming and overclocking on a compact micro-ATX. Featuring an updated Extreme Engine DIGI+ III design, the Maximus VI Gene is capable of tweaking accurately with the peace of mind that power delivery is handled with high efficiency. ASUS has also decided to go vertical in terms of expansion in the Maximus VI Gene with the inclusion of an MPCIE COMBO II card which supports both mini-PCIe modules and M.2 NGFF SSDs. The Maximus VI Gene is available for $209.99 (listed at $199.99 currently from NewEgg.com) and comes with a 3-year warranty.